The last night of our trip was spent in Frankfurt. 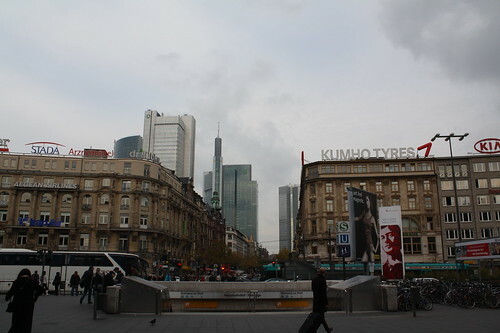 Frankfurt is very different from a lot of the cities we visited in that it is very modern in terms of architecture. Frankfurt was severely damaged in World War II and rather than rebuild using a lot of the old architecture, its city leaders decided to create more of a modern city. It is definitely different, but pretty cool. On our last night I decided to go for a run through Frankfurt. Our hotel was very close to the Main River so I headed in that direction. I love to run because I am able to think clearly and process different thoughts and feelings. On this particular night while running along the Main River with many other people I was overwhelmed with a sense of connection. Looking across the river at the beautiful Frankfurt skyline I reflected on the previous two weeks. What did I learn? Who did I meet? How will this experience change me? What can I bring from this into my “normal” life? What from these experiences can I use to improve my relationships? If we learn to close our f****ng mouths sometimes and not be so concerned with being superior or right, we may just learn something. 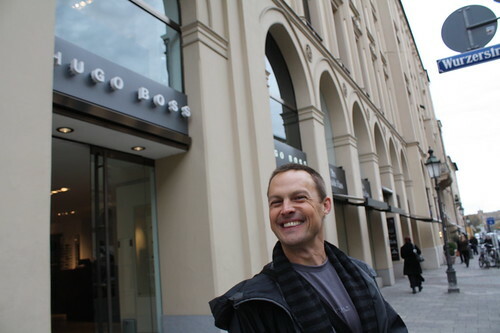 Finally, that Hugo Boss manufactures the coolest clothing All in all it was a great trip. I am extremely grateful we took it and I am looking forward to any other new experiences coming my way. I hope you are as well.